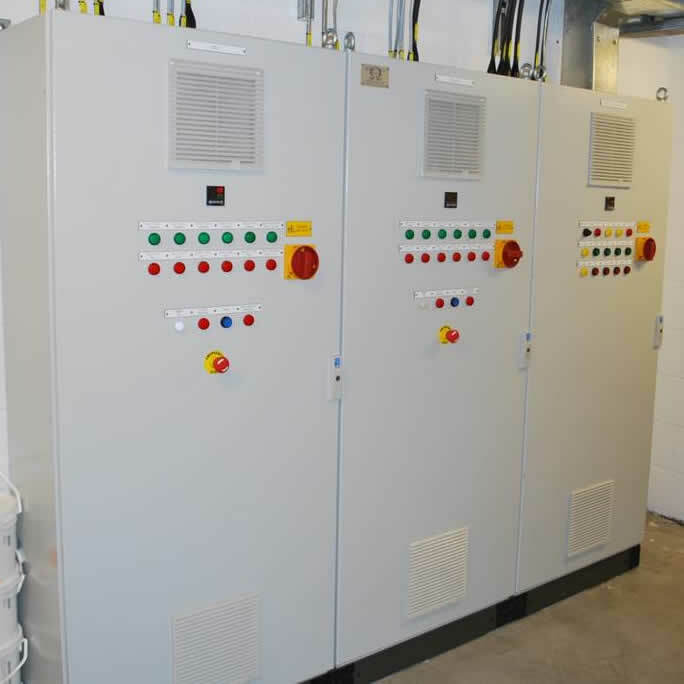 Envirosound offers Acoustic Electrical Services including the provision of a control panel and associated wiring to all motorised equipment within your acoustic test facility. 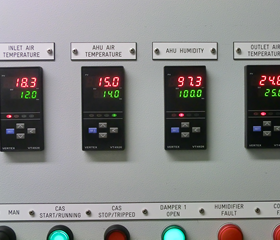 Where automatic controls are required either the main control panel is increased in size or separate auxillary cabinet(s) for the PLC controls are provided. 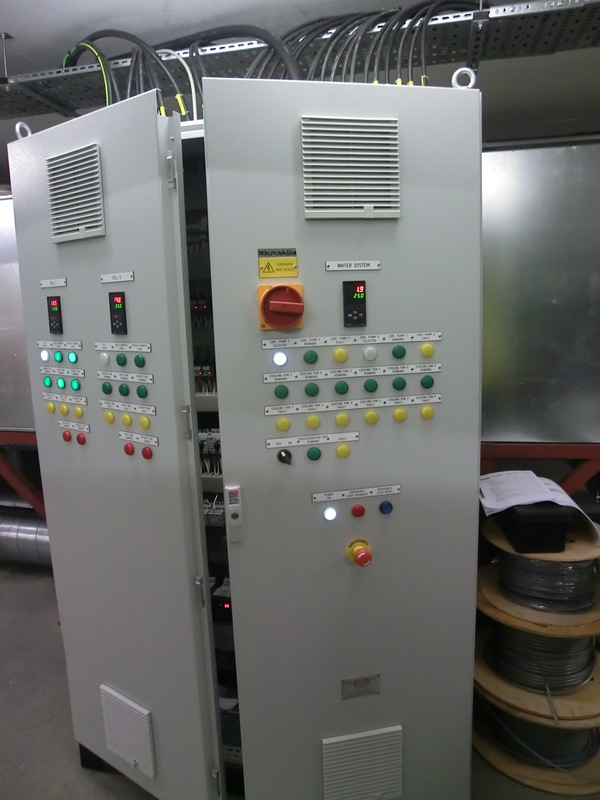 Safety interlocks and volt free circuits can also be included in our control panels for interfacing with engine, fire protection, fuel and main building alarm control systems. If the client prefers to undertake the wiring works in-house or with a preferred contractor who understands their installation and standards, we can provide a full equipment information pack including the electrical details. The electrical and equipment supply can also be extended to include lighting, power points and safety interlocks.